Anti-Market Economic Policies, Picking Winners and Losers — Trump has overseen what has become the most anti-market economic policy of any President in the postwar period. First, his unprecedented attacks on the global trading system have directly weakened the competitiveness of innovative American firms in an attempt to prop up his favored industries. The steel and aluminum tariffs have increased costs to automakers like Ford and GM by over $1 billion, and have led to aggregate job losses of over 400,000 net jobs. And have the tariffs led to the end of unfair trading practices against American steel and aluminum manufacturers? No, because the vast majority of those US imports come from Canada, the EU, and Mexico, all of whom haven’t engaged in dumping or subsidies to their domestic steel and aluminum producers. Trump’s tariff strategy is no different from if he enforced punitive taxes on American automakers and then gave government handouts to the steel and aluminum industries. Indeed, as a result of his tariffs, much of the agricultural industry is now reliant on government subsidies to stay afloat as their export markets have dried up. Repudiation of Democratic Institutions — The area in which Trump might resemble Maduro the most is in his contempt for the rule of law and democratic checks and balances. Maduro and his predecessor Hugo Chavez gained absolute power in Venezuela through state take-over of the free press, packing the independent judiciary with their own loyalists, transferring the power of the elected legislature to the executive, and imprisoning their political opponents. If those authoritarian actions sound familiar, it is because they are similar to the steps Trump has tried to take to consolidate his own power (albeit in a system with far greater checks to such abuses). Trump has attempted to delegitimize the free press as the “enemy of the people” in the eyes of Americans, applauded criminal assaults against journalists, threatened to disband specific courts that have made rulings he opposes, threatens almost weekly to lock up his political opponents, and used a blatantly made up national security emergency to bypass the elected Congress to build his border wall. 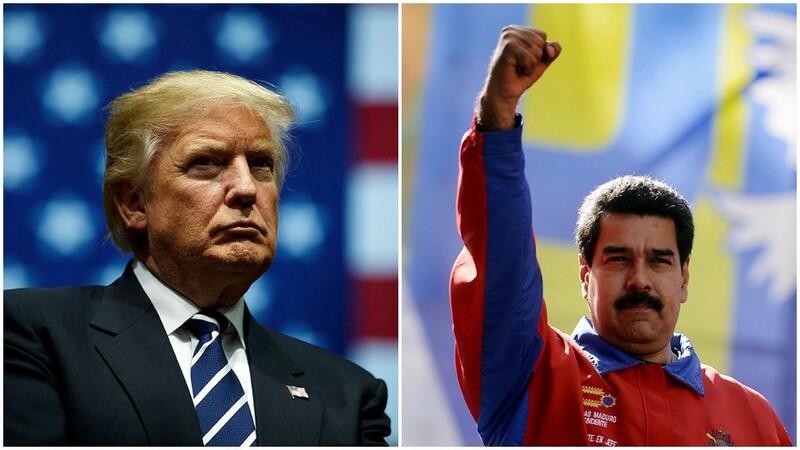 In each of these ways, the actions of the Maduro regime to consolidate power are echoed by Trump in his attempted actions and rhetoric, while it is the Democratic Party that has taken the mantle of defending democratic institutions in the United States.